1. 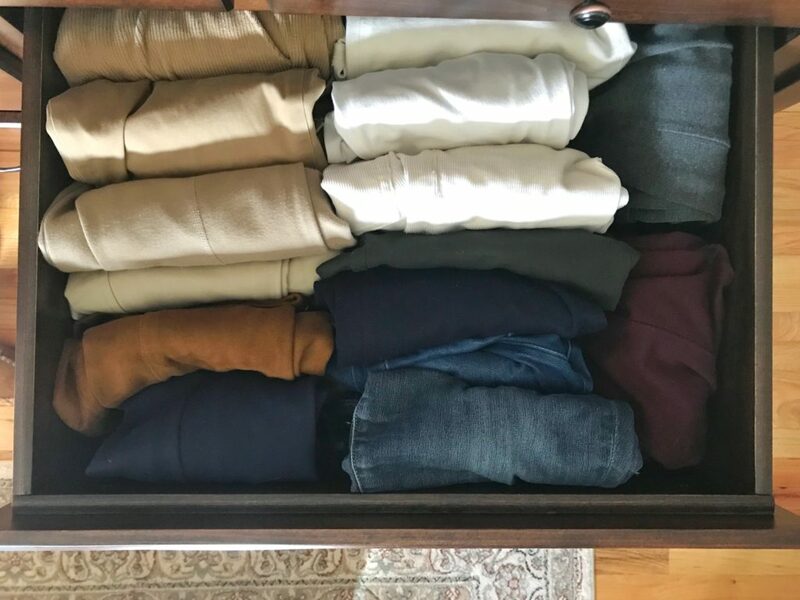 Ideally sweaters should be stacked and folded, and if you can’t see them visual (like on a shelf) they should be folded upright in a drawer so you can always see all of them. This doesn’t work for everyone and sometimes sweaters must be hung. 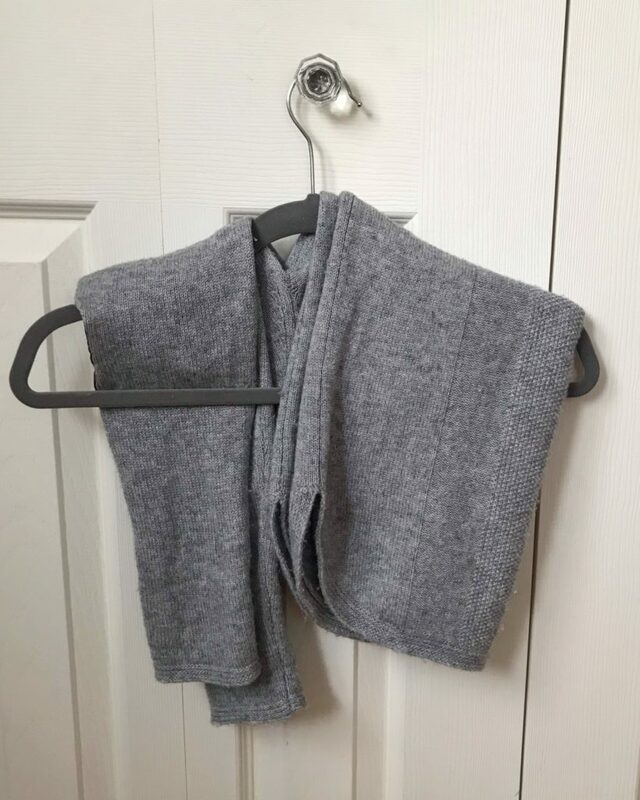 Hanging sweaters can pull, stretch, and oftentimes damage the fibers in the shoulder area, but there’s a little tip to hang your sweaters. Simply fold them like my photo above and you’ll avoid unnecessary wear. 2. In my closet overhaul last year, I put an emphasis on hanger uniformity. 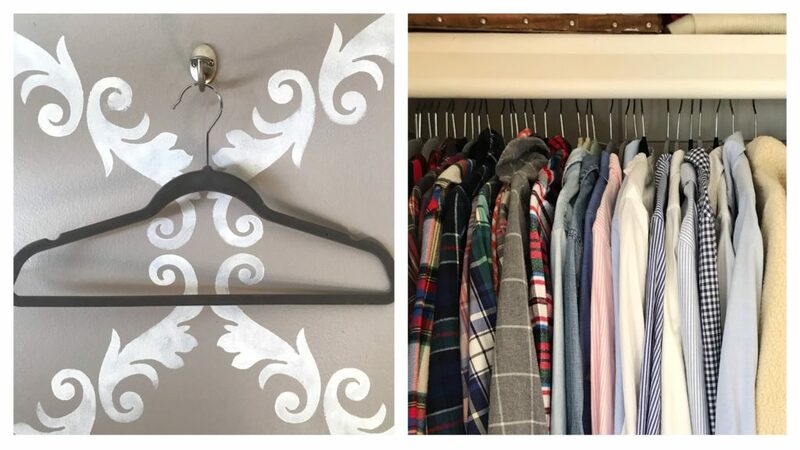 I had way too much of a variety of hangers – velvet, plastic, a few wire (which you should never use), and it made my closet look a little chaotic since they all had different dimensions so clothes hung differently. I searched online for velvet hangers but I found TJ Maxx / Home Goods always has them and they are the best priced ones! Joe and I both got all velvet hangers and our closets look so much better. 3. 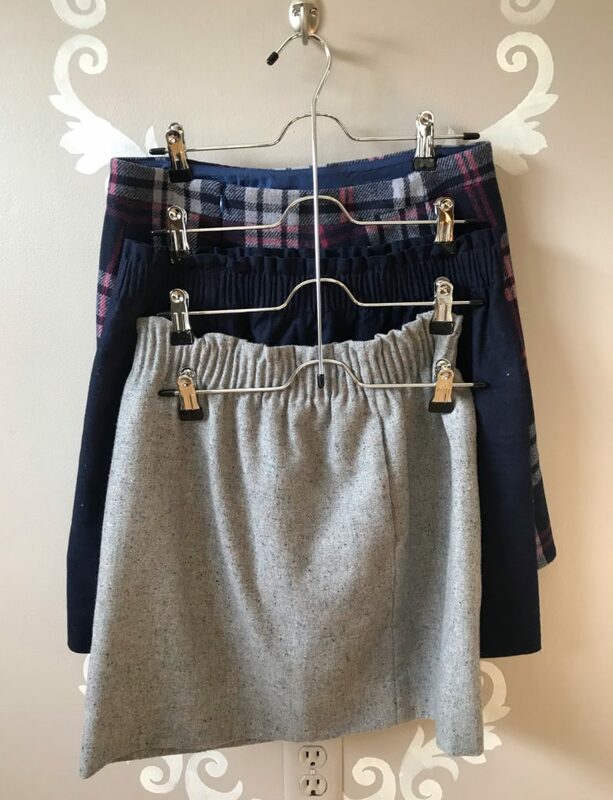 I’ve talked about my skirt hanger before on the blog, but it truly is the best solution for hanging my skirts. They take us less space and it’s easier to see all of them. I purchased mine off Amazon (3 pack), and I wish I had gotten them years ago. 4. 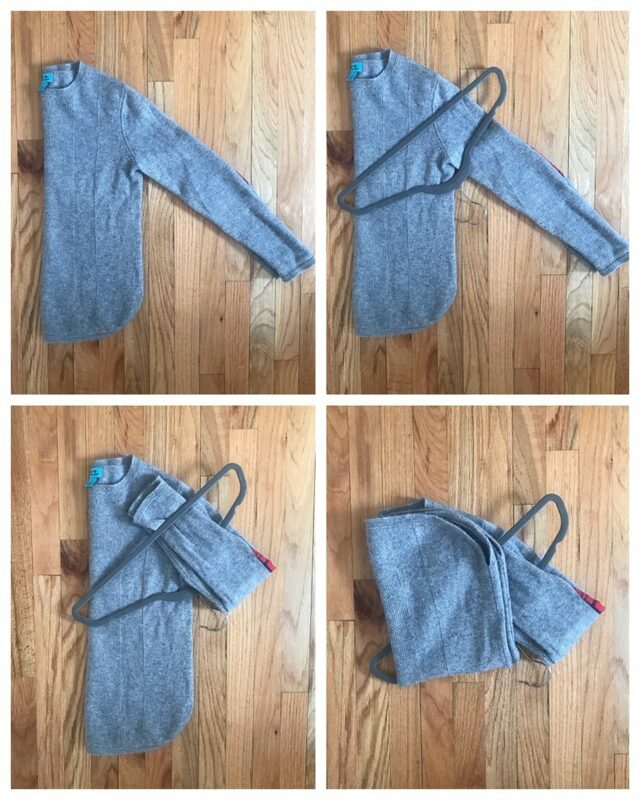 A recent organization tip I learned is from the KonMari method of upright folding. I went from having two drawers of pants that weren’t functional since I couldn’t see all of them, to having one drawer and being able to see them all at once. Here is an explanation of her method is you are unfamiliar with it. Side note, I have way too many beige color chinos. 5. 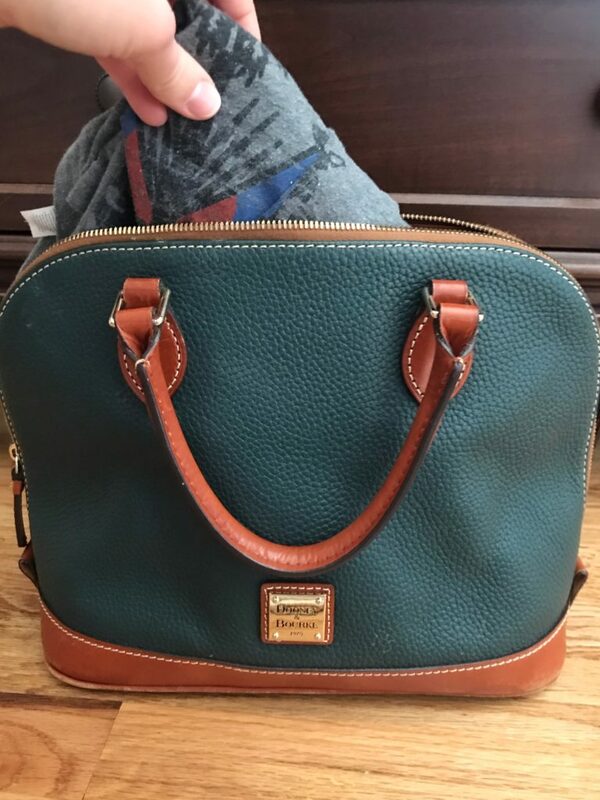 Storing purses when not in use is important if you plan on owning your handbag for awhile. I put all of mine upright and the stuff old t-shirts inside of them to keep the shape. I find this really helps them look great year after year because it adds some structure to it. My off-season purses go in a dust bag (if they have one), and then into a large clear tub in our basement. 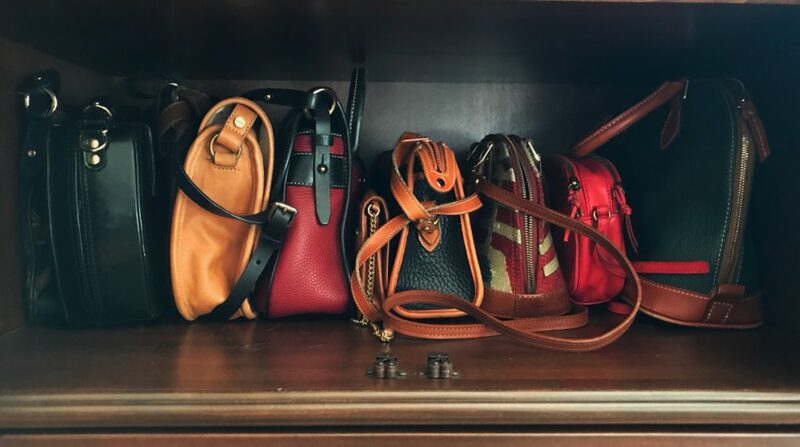 I’d love to hear your best closet organizing tip! Please comment and let me know.